Spring 2019 – May 1, 8, 15, 22, 29, June 5, 12, 19. 6pm till 9pm. Fall 2019 – October 2, 9, 16, 23, 30, November 6, 13, 20. 6pm till 9pm. 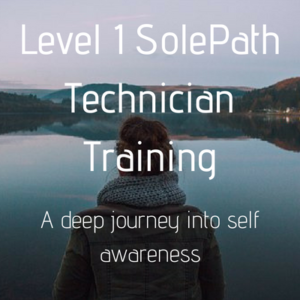 This training is a journey of self-discovery, a deep understanding of your own personal unique SolePath, SoleNumbers, SoleFace and SoleHealing. The Tao is the foundation of all our work at the SolePath Institute. Training includes an introduction to the Tao and not only will you know more about yourself and how you navigate your light and your dark, you will know how others find their way to their expanding energy, their soul purpose. This training gives you an opportunity to integrate into a group of like-minded people and explore metaphysical concepts. For you and your personal soul evolution; for your understanding of how others ‘tick’ and how best to communicate with them. Learn how to guide others to their own deep self-awareness. Guide them to understand themselves; to make sense of their personal and unique life experiences; to bring them to the place of knowing why they behave the way that they do. Help others uncover their gifts and greatness and walk their path to purpose and a beautiful life. 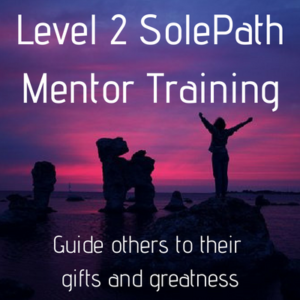 Your SolePath mentor training is recognized by the Canadian International Metaphysical Ministry (CIMM) and the American Association of Drugless Practitioners (AADP). 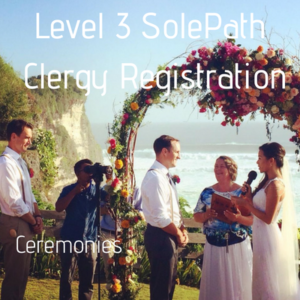 Through CIMM and the SolePath Institute, receive registration as clergy with the designation of Reverend. You will be officially licensed to perform marriages, end of life ceremonies (funerals) and start of life ceremonies (christenings). Qualify for membership and benefits of the AADP.